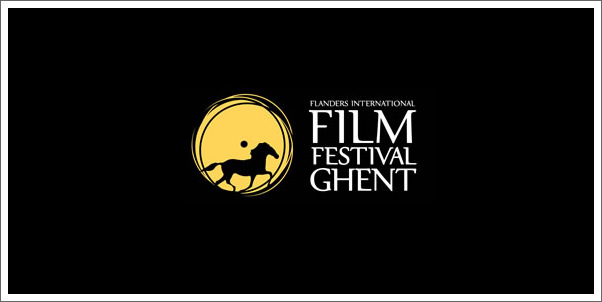 Ghent, May 2, 2011 -- The 38th Ghent International Film Festival will present “Film Music Masterpieces: Maestros of Suspense” at Music Centre De Bijloke on Wednesday, October 12, 2011 at 8 p.m. The concert features film music by legendary composers Bernard Herrmann and Franz Waxman, who are both inextricably linked with the iconic Alfred Hitchcock, and managed to put the “thrill” in thrillers for countless films. The programme includes, among other pieces, Herrmann’s music for Psycho, Vertigo and Taxi Driver, as well as Waxman’s music for Rebecca, Rear Window and Sunset Boulevard. The works will be performed by the National Orchestra of Belgium, conducted by Dirk Brossé. Scenes from these exciting classics will be projected on a big screen. Suspense guaranteed! The shrieking strings accompanying the chilling shower murder in Psycho are just as well-known as the scene itself. Initially, director Alfred Hitchcock had decided against background music during what would become the most famous film murder of all time, but for once the undisputed “master of suspense” had to give in to composer Bernard Herrmann. The latter was proven right and film history was written. Hitchcock had an unrivalled ability to create suspense, and he was well aware of the role that music plays in this process. It comes as no surprise that Herrmann was one of Hitchcock’s favourite composers. He wrote scores for The Trouble With Harry (1955), The Man Who Knew Too Much (1956), The Wrong Man (1956), Vertigo (1958), North By Northwest (1959), Psycho (1960), The Birds (1963) and Marnie (1964). German composer Franz Waxman was also on the same wavelength as master manipulator Hitchcock. They made a strong team, joining forces for the soundtracks of Rebecca (1940), Suspicion (1941), The Paradine Case (1947) and Rear Window (1954), which prove that Waxman was not averse to a good dose of suspense. Herrmann and Waxman worked on 12 of Hitchcock’s instant classics, but both also earned their reputation through other unforgettable and moving works. Herrmann composed the soundtrack for films such as Orson Welles’ Citizen Kane (1941); William Dieterle’s The Devil And Daniel Webster (1941), which earned him an Oscar; Robert Wise’s The Day The Earth Stood Still (1951); John Lee Thompson’s Cape Fear (1962); François Truffaut’s Fahrenheit 451 (1966); Brian De Palma’s Obsession (1976) and Martin Scorsese’s Taxi Driver (1976). Waxman also wrote numerous scores, such as James Whale’s Bride Of Frankenstein (1935); George Cukor’s The Philadelphia Story (1940); Victor Fleming’s Dr. Jekyll and Mr. Hyde (1941); Billy Wilder’s Sunset Boulevard (1950), which earned him his first Oscar; George Stevens’ A Place In The Sun (1951), for which he received his second Oscar, and Billy Wilder’s The Spirit Of St. Louis (1957). Herrmann and Waxman’s musical heritage spans more than 35 years and continues to inspire new generations of film music composers. The importance of these two artists cannot be underestimated. By joining forces with some of the greatest directors of all time, they gave us some nail-biting moments and set the course for exciting film music for decades to come. The Ghent International Film Festival, which is considered one of Europe’s most respected fall film events and the largest in the Benelux countries will run October 11 – 22, 2011. This annual gathering attracts over 125,000 visitors including 60,000 students and screens over 150 films, shorts, and documentaries in and out of competition.